It’s a Burroughs-esque effort at creating a new piece of art by cutting up an existing one and re-purposing it. My first reaction on seeing this was, “Wait. What? Seriously?” but I love comics destroyer/creator David Hines’ comment on it. Don’t forget that a comic book is not an original work of art. It is a printed copy, created to be disposable. 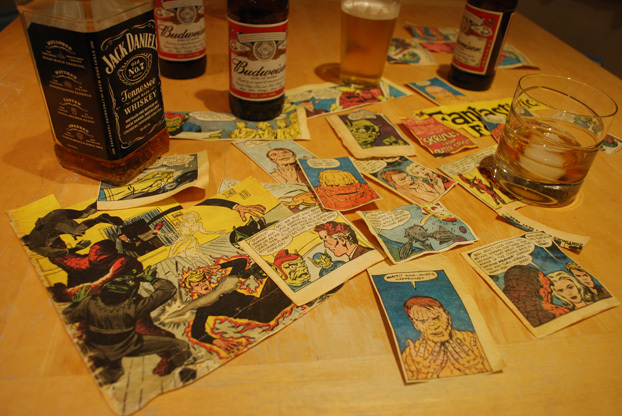 However, by using a comic book as material for a new creation – in this case a new cut-up narrative – it does become an original work of art, unique and arguably more ‘valuable’. 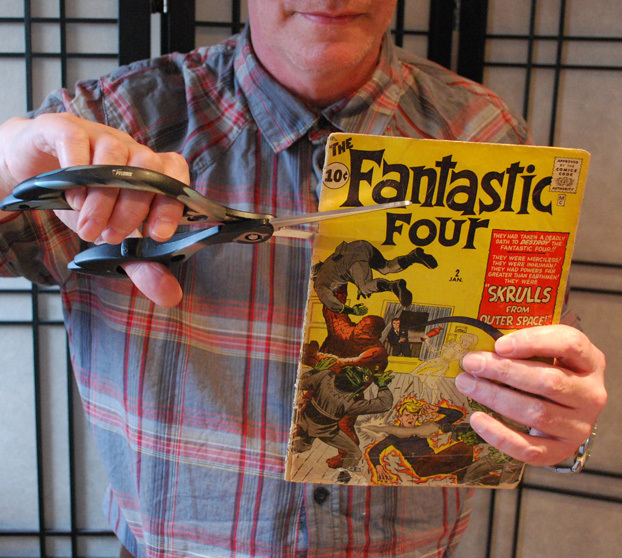 I have no problem with collectors choosing to keep their comics in nice condition as long as they still read them. For me, the really pointless ‘desecration’ of comics is to seal them forever in blocks of plastic. You can buy your own copy and do the same thing if you have five or six hundred dollars lying around that you’re not using.